If you have stayed current on your Tech News, you have undoubtedly heard about Google Sites. For those unfamiliar with the Google Site’s service, I’ll provide the Cliff Notes version. Launched February 27, 2008, Google Sites is a wiki platform targeted towards small and medium sized businesses. The service has been made a part of the pre-existing Google Apps service. 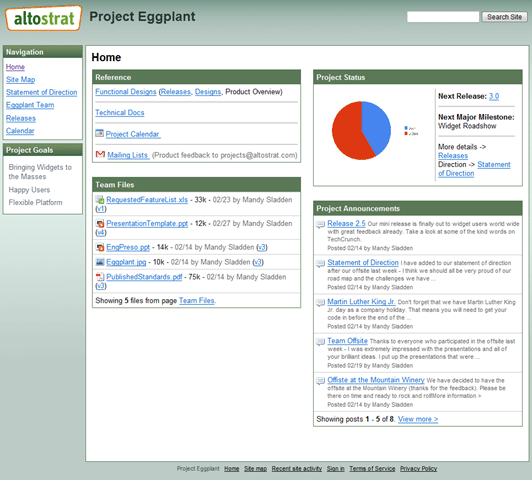 Google Sites is essentially a re-launched version of JotSpot, which Google purchased in 2006. What makes Google Sites unique is the way it integrates a wiki like platform with things like documents, spreadsheets ,presentations, calendars, and even video (YouTube). 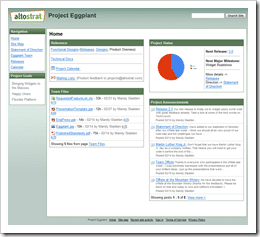 Some have compared Google Sites with other collaboration tools such as Microsoft SharePoint. While both are considered collaboration tools, I personally feel that SharePoint is much more robust than Google Sites. Of course one element Google beats Microsoft on without question is price. A public SharePoint site can prove incredibly costly, whereas Google Sites is FREE. After playing around with the service myself, I’d compare Google Sites to a service more like Central Desktop than I would SharePoint.